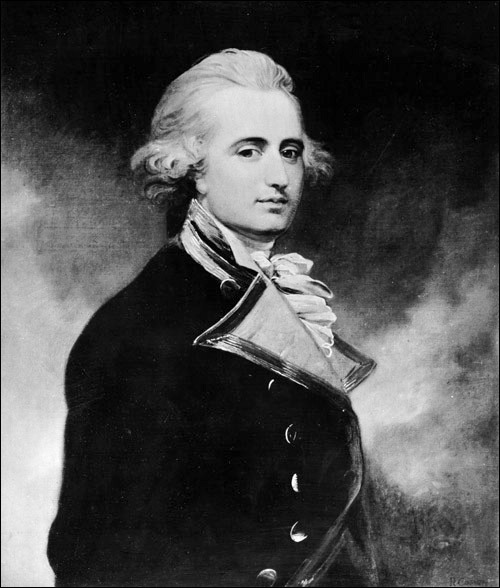 John Montagu was born in Lackham, England in 1719. He began his naval career in the Royal Naval Academy at Portsmouth in 1733, and served in the home station and in the Mediterranean. He was promoted lieutenant in 1740, and served on the Buckingham. For the next few decades he served in the West Indies and the Mediterranean. He was present at the Battle off Toulon in 1743, and at the execution of Admiral John Byng in 1757. In 1770, he was promoted to Rear-Admiral and from 1771 to 1774 was commander-in-chief of the North American station. In 1776 Montagu was appointed Vice-Admiral and shortly after, Governor and commander-in-chief of Newfoundland. His term coincided with the American Revolutionary War. He took over the islands of St. Pierre and Miquelon, and defended the island from French and American privateers, many of whom he imprisoned in St. John's. He prevented the French from capturing Carbonear and Harbour Grace. His term ended in 1778. In 1782 he was promoted Admiral of the Blue, and from 1783 to 1786 was commander-in-chief of Portsmouth. In 1787 he became Admiral of the White. He retired at Fareham in Hampshire, where he died in August 1795.